The color coated aluminum sheet is a kind of the aluminum sheet that is coated with the color, so the character of the aluminum sheet is very stable, and it not easy to be corroded and the surface of it ensures that it will last for 30 years, because the density is low, and the hardness is high, and weight of the cube is the lightest in the metal material, the color coated aluminum sheet is a kind of new material that is used in the window and door, comparing with the plastic steel, the most excellent advantage is the incomparable hardness, and the color of it is varied, and the color is even and has the bright luster, it has the strong adherence. It can bear the corrosion of the salt and wind, and it can bear the rubs. 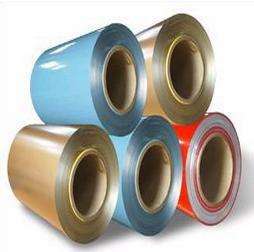 The colorful appearance of the aluminum sheet is decorative and if you want use the aluminum sheet for special use you can ask us for help, and the consultant give you the detailed information on the goods that you want, the Zhengzhou Haomei Industrial Co., Ltd has the experience of 30 years in the production of the color coated aluminum sheet, and the high quality has been appraised by the clients all over the world. There are more information on the website of the Haomei, if you want to get to know more information you can browse the website for the details.